Last night was yet another big night in country music. Yes, this genre has more awards shows than anyone else… and then some. But we love it! Why not? This “group” is loads of fun and there was no exception last night! 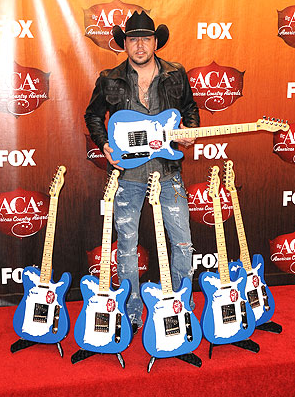 The 2011 American Country Awards went down in Las Vegas last night and all of big stars were there, shining. Kristin Chenoweth did an amazing job hosting…. well, seriously entertaining us for the night. She is a gem! Let’s just say, it was Jason Aldean’s night! Check out the photo gallery from last night HERE.